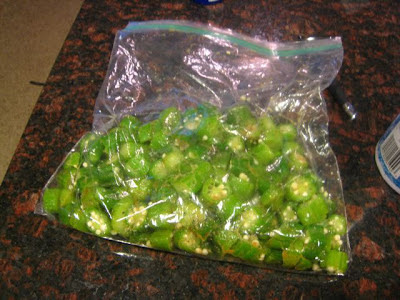 I love fried okra. LOVE LOVE LOVE it. But it's not all that good for you. So when I found this recipe for healthified baked okra that tastes like fried okra, I had to give it a try, and guess what? 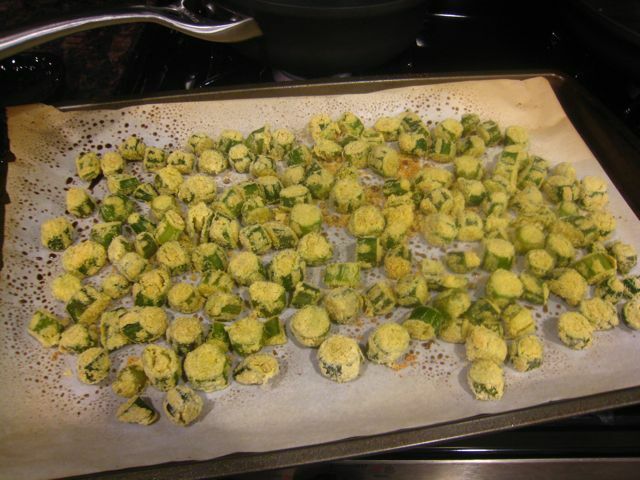 It satisfies that fried okra craving just as well as the original! Directions: 1. 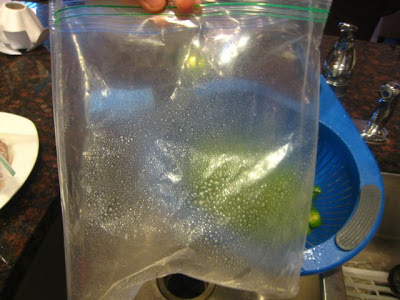 Turn the Ziploc inside out and spray with canola spray. Pour the okra in the bag, and add the Cajun seasoning and garlic salt. Seal the bag VERY WELL, and shake vigorously. 2. Let the bag rest for 10 minutes. 3. 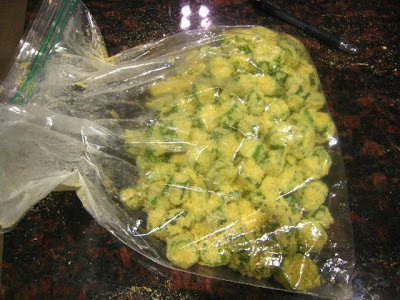 Add corn meal to the bag and shake again. 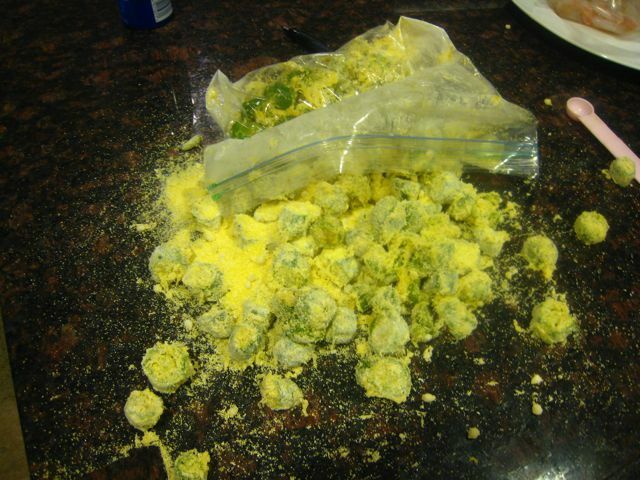 Pour okra over a strainer to the extra cornmeal will fall off. 4. Cover a baking sheet with parchment paper. 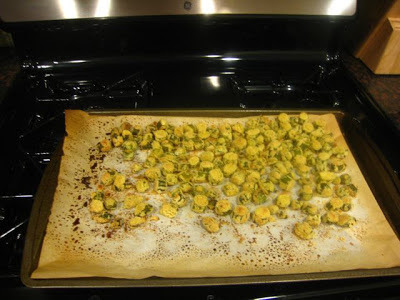 Spread the okra on the baking sheet in a single layer. Spray lightly with canola spray. 5. Bake at 425 for 20 minutes. 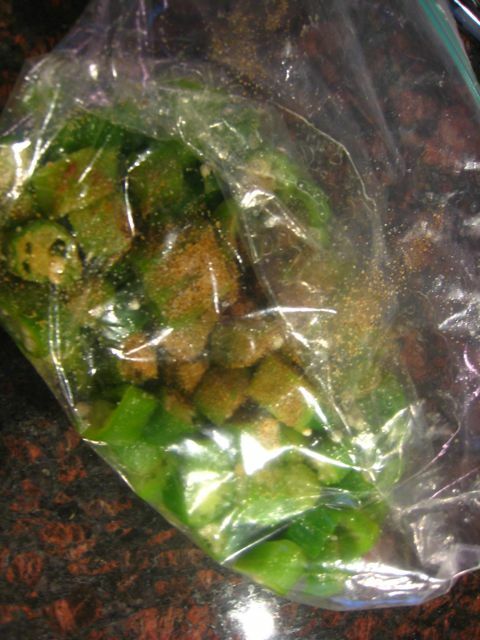 Flip okra, and bake for 20 more minutes. I MUST TRY THIS!!!!! My grandmother makes the best fried okra ever but since fried isn't so healthy and I now live in a different state, this looks like a great option (cause I am not brave enough to try frying)!! I can't wait!! oh!! i am not a big okra fan but my in-laws love it and always grow tons in their garden. i'm totally passing this recipe on to them!